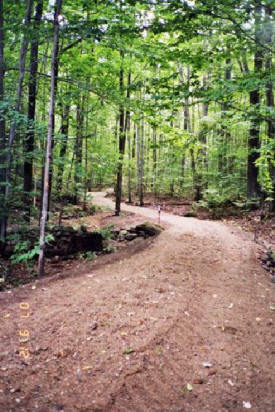 The Dane Trail located between Pine Rd and Clark Hill Rd in New Boston is open year round for hiking. The trail is closed to horseback riding and biking when snow covered in winter. This restriction at the owners` request is to allow a smooth trail for skiing and snowshoeing. Please stay on the high side of the hayfield on the track. This is private property, not a public way, and is open by permission only. The Dane Trail Betterment Project was completed in 2007. P.A.T. was awarded a grant from the Bureau of Trails in Concord to repair this trail. Repairs were made to install a culvert, waterbars and gravel. The DiPietro property off Clark Hill Road (the Callander Farm Trail) in New Boston, has been repaired and is now open for non-motorized use, year round. This trail connects to the Dane Trail via Clark Hill Rd and to the Johnson Trail, The Lydia Dodge Trail and the Deland Forest Trails. 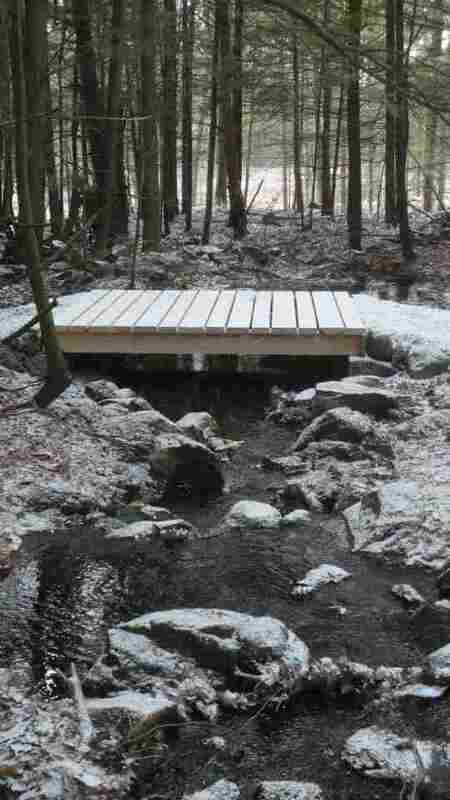 New Boston Forestry Committee Bridge has been completed enabling year round use for snowmobiles, hiking, snow shoeing, cross country skiing, bicycling and horseback riding. Contact any member of the Board of Directors if trees or debris are blocking your local trails and you need help clearing them. Information on trail closings, openings and dangerous trail conditions is valuable to our members.